All the signs are happening again. The restaurant near our office has changed ownership again (the 4th time in as many years). They’ve changed the business name, sign, and even painted a few things. The menu is a bit different; but most people in our community couldn’t clearly define that. Mrs. 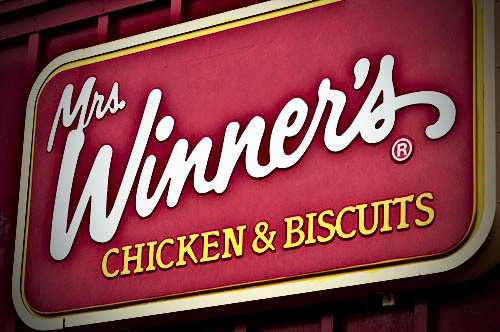 Winners Chicken and Biscuits went bankrupt last year. What does that mean? Ultimately something didn’t work. Just like the restaurant down the street. Recently, the person who took over the Mrs. Winners’ locations in our area proudly announced to the media that we can rest assured that the restaurant didn’t change. But if nothing changed, then this new restaurant (now named Umphy’s) will not survive. It’s like baking a cake; and each time having it flop — then doing it exactly the same way every time. It’ll flop each time. The product. Is the quality lackluster? And ultimately, service (the way your product is delivered) can be included here. Make sure you fix these problems. The audience. Make sure you have enough audience who’d want your product; and make sure they’re properly informed. You can build an amazing BBQ Pork restaurant; but if you are in a predominately Jewish location; it’ll be a terrible disaster. The perceived benefit. There has to be a predominant pain that you are a solution for. If not, people won’t keep coming back. Determine this benefit, make sure it’s unique (and doesn’t directly compete with your competition) and then talk about it everywhere. The benefit is more important than the features of your product.